The development of complex agents requires adequate conceptual and software tools that allow modular development and software reuse. We present a concept, called capability , which represents a cluster of components of a BDI agent. Capabilities encapsulate beliefs, events and plans while, at the same time, allowing global meta-level reasoning. Capabilities enable software reuse, and are well suited as building blocks for the development of multi-agent systems. 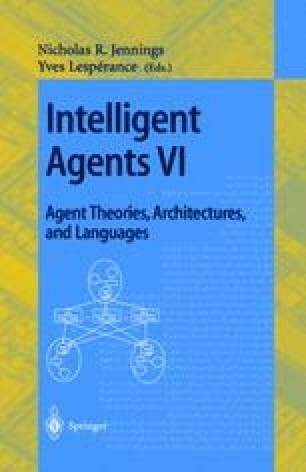 We present an implementation of capabilities within the commercial Java-based multi-agent framework JACK Intelligent AgentsTM.